You know we like our wine o’clocks! 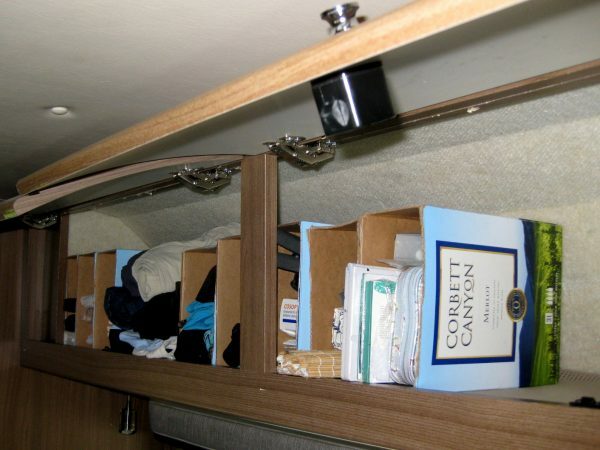 Boxed wines work much better in the van than bottles and we found a great way to recycle the boxes. Everything shifts in the overhead cabinets during flight. 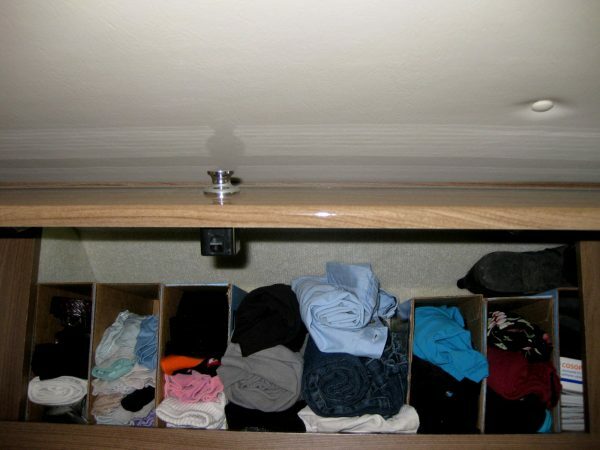 These sturdy boxes act as dividers as well as create a shelf to put other items (or worn clothes) above. One for tights/belts, one for underwear, one for socks, open area between for pants/capris rolled, one for shorts, one for tank top/swimwuits, etc. 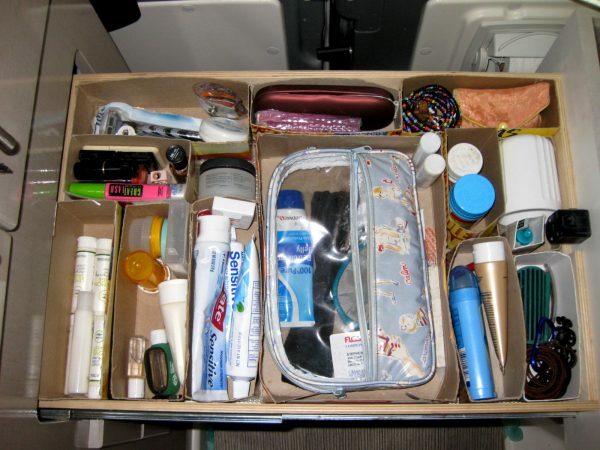 Other Boxes act as storage dividers in the drawers; don’t add weight and really help organize toiletries. 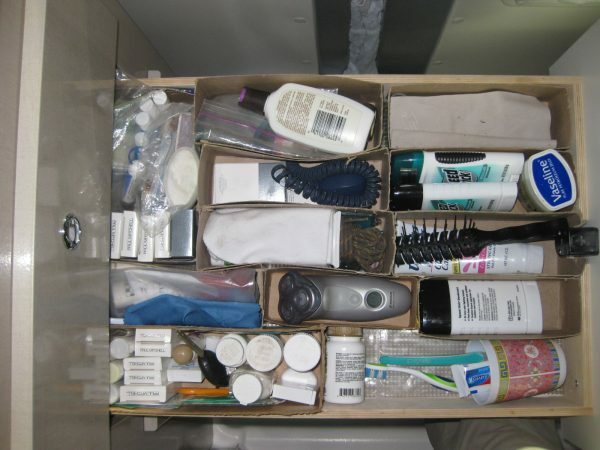 The trick is that the entire drawer needs to be filled with boxes so that none of them can shift during movement. 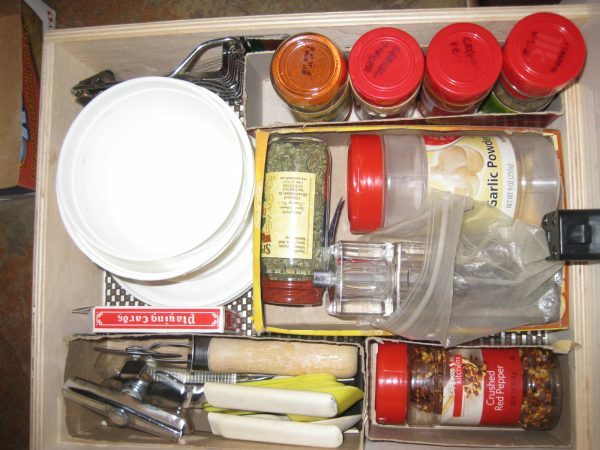 This makes us feel so organized! And it feels like the drawers hold so much more. All the shelves and drawers have plastic shelf liner under the boxes. This may not be necessary but that was installed before the boxes so it probably helps with bouncing.